One of the most common issues that users face is trying to print off a small section of a larger document. It’s frustrating to have to print an entire 150-page document when all you really need is a few paragraphs from some individual pages. The good news is that there is a way to print PDF that will not only save you a whole bunch of printer ink, but a great deal of time in the process. The first thing that you have to do is make sure that you have a fairly recent version of Adobe Reader, otherwise you might very well be spending an inordinate amount of time looking for tools that don’t exist on your version. The specific tools that we will be using here can normally be found on versions 6.0 and higher, so if you are using a Reader version that is older than that, then it’s time to upgrade. Once you have your Adobe Reader updated and ready to go, make sure that the basic toolbar is visible. If not, simply right click on an open area of the tool bar and place a check mark next to “Basic” when the menu pops open. On the basic toolbar you should see the snapshot tool, which often has a little camera like icon. If you don’t see it, select “Tools” followed by “Select & Zoom” which should make it visible to you then. Once you have selected the snapshot tool, you should be able to draw a box around the area that you are looking to print. You will receive a message that tells you the selection has been copied to the clipboard, which you answer by clicking “OK.” The selection will be rounded or highlighted on the PDF file, this is what is supposed to happen so don’t let that put you off. 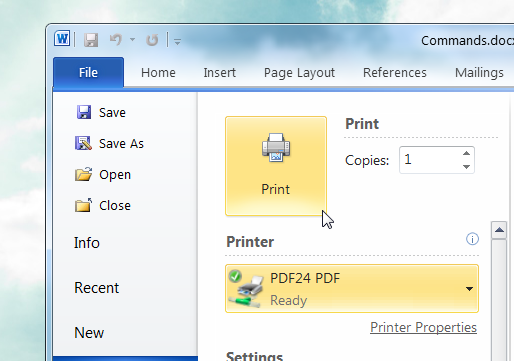 Your next step is to click “Print,” making sure to choose “selected graphic” when choosing the print range. You can get a little creative at this point by sizing your selection to suit your specific needs. If you are happy with the regular size, simply set Page Scaling to “None.” If, on the other hand, you need the selected area to be a little larger, select the “fit to paper” option. That may need you to do a little rotating and such, but it’s all fairly self-explanatory from there. Once you are happy with how the preview looks, click “OK” and your selection will be printed. Printed PDF files don’t have to be multi-page monstrosities, use the steps above to make those files that much more manageable. Want to understand a foreign language PDF? 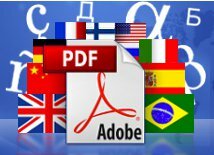 Translate your PDFs easily with just a few clicks to 27 languages with Multilizer PDF Translator. Learn more & Download Free version here.